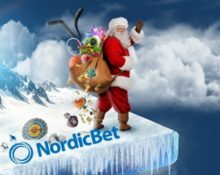 NordicBet – Christmas Calendar | Week 3! Meet Santa Claus every day at NordicBet until Christmas Eve! Yes, you can have festive gifts and rewards every day, even before Christmas Eve. 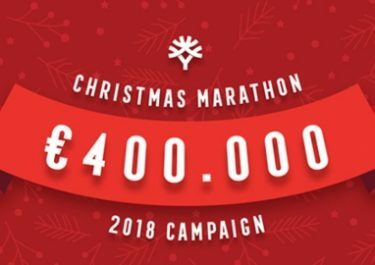 There are 14 days left on this year’s Christmas Calendar at NordicBet with two presents waiting every day, one for the Casino and one for the Sportsbook. 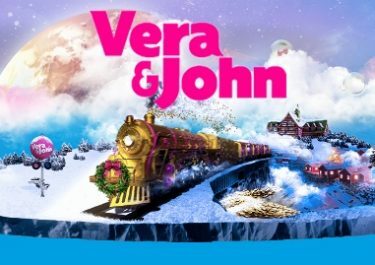 Plus every claimed present will award one ticket to the Grand Christmas Raffle on 27th December 2017 where two lucky players will win One Million Kroner or €100,000 Euro each. Collect as many tickets as possible to increase your chances to win one of the main prizes. Casino Present – Wager minimum €5 on Ho Ho Tower to get an equal share of the 5,000 Free Spins prize pool, credited by 18:00 CET on Tuesday. Wagering requirement is 35x FS winnings within three days, subject to the NordicBet casino bonus terms and conditions. Sportsbook Present – Deposit minimum €20 to instantly receive a €10 risk-free bet Free Bet that can be placed on any event in the Sportsbook. Winnings including the stake from the Free Bet will be paid out as bonus with a 3x wagering requirement at minimum odds of 1.50 within 14 days. NordicBet Sportsbook bonus terms apply. Casino Present – Wager €10 on Blood Suckers II to instantly receive 20 Free Spins on the same game. Wagering requirement is 35x FS winnings within three days, subject to the NordicBet casino bonus terms and conditions. Sportsbook Present – Place a minimum €10 bet with at least three selections from Premier League, all at minimum odds of 1.50 to instantly receive a €10 Free Bet. Winnings excluding the stake from the Free Bet will be paid out as bonus with a 3x wagering requirement at minimum odds of 1.50 within 14 days. NordicBet Sportsbook bonus terms apply. Casino Present – Take part in a 1-day tournament on Valley of Gods to score the highest coin win in a single spin. TOP50 on the leader board will share the €3,000 in cash and bonus prizes, ranging from €25 – €250, credited by 18:00 CET on 14th December 2017. TOP5 prizes are cash with the reminder being credited as bonus money with a 10x wagering requirement, subject to the NordicBet casino bonus terms and conditions. Sportsbook Present – Place a minimum €20 bet on any event at minimum odds of 1.50 to instantly receive a €10 Free Bet. Winnings excluding the stake from the Free Bet will be paid out as bonus with a 3x wagering requirement at minimum odds of 1.50 within 14 days. NordicBet Sportsbook bonus terms apply. 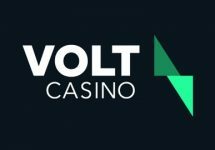 Casino Present – Hit a straight Blackjack on any Live Casino table to receive a €10 bonus, up to 3x per player, credited by 17:00 CET on Friday. Wagering requirement is 10x bonus amount in the Casino or Live Casino, subject to the NordicBet casino bonus terms and conditions. Sportsbook Present – Place a bet of €10 at minimum odds of 2.0 to be entered into a raffle with 90 cash prizes ranging from €10 – €1,000, credited with no wagering requirements by 17:00 CET on Friday. Casino Present – Wager €10 on anything in the Casino or Live Casino to receive a surprise reward. Check your NordicBet inbox the soon you met the requirement. Sportsbook Present – Place bets totaling €50 with minimum odds of 1.50 to instantly receive a €20 Free Bet. Winnings excluding the stake from the Free Bet will be paid out as bonus with a 3x wagering requirement at minimum odds of 1.50 within 14 days. NordicBet Sportsbook bonus terms apply. Casino Present – Deposit €10 to instantly 50 Free Spins on Cosmic Eclipse. Wagering requirement is 35x FS winnings within three days, subject to the NordicBet casino bonus terms and conditions. Sportsbook Present – Place a bet of minimum €10 with 5 selections with odds of 1.30 to instantly receive a €10 Free Bet. Winnings excluding the stake from the Free Bet will be paid out as bonus with a 3x wagering requirement at minimum odds of 1.50 within 14 days. NordicBet Sportsbook bonus terms apply. Casino Present – Wager €10 on Spin and Win to instantly get 50 Free Spins on the same game. Wagering requirement is 35x FS winnings within three days, subject to the NordicBet casino bonus terms and conditions. Sportsbook Present – Wager with minimum €5 bets today to place in the TOP20 with the highest odds on a winning coupon and win a risk-free bet. Winnings including the stake from the Free Bet will be paid out as bonus with a 3x wagering requirement at minimum odds of 1.50 within 14 days. NordicBet Sportsbook bonus terms apply. Check back tomorrow when we reveal the next Christmas presents.